Crashed in Vietnam. Conversion to components began but the decision was reversed and the aircraft was repaired in the field and returned to service. Crashed in Vietnam. Repaired in the field and returned to service. A4-173 was delivered directly to the RAAF Transport Flight Vietnam (RTFV) at Vung Tau ex the de Havilland Canada factory in Toronto, Canada (together with A4-191 and A4-193). Nice - Nice (45min) F/L Bellamy, B. Brown (Source: Logbook B. Brown) Radio u/s in Nice. Total flying time Toronto to Vung Tau: 89 hr 20 min. Op - F/O Martin etc Other pilots include F/O J. Staal, F/Lt R.G. Raymond, F/O B.G. Hammond, F/Lt J.D. Jordan, F/O D.A. Henry. Operations included freight shuttles, paradrops, supply drops, Lolex, flare drops. Ran off the runway at Hai Yen, Vietnam while delivering a load of medical supplies and construction equipment. (Australian War Memorial 1995) pp 54-55. "Hai Yen was a fortified settlement on the Camau peninsula which had recently been attacked by the Viet Cong. The airstrip was very short and the Caribou clipped its nosewheel on the runways edge on touchdown. As one of the pilots later recalled: we rediscovered the principle that an undercarriage designed to retract forward causes considerable alteration to the airframe when it is forced to retract rearwards. Although none of the crew was injured, a wing was torn off the aircraft and the undercarriage and one engine was damaged. A detachment of RTFV ground staff were flown to the crash site to undertake a major repair job which included fitting a new propellor. When completed, the machine was flown back to Vung Tau at reduced speed with Squadron Leader Harvey at the controls. The recovery of A4-173 was a tribute to the skill and dedication of the flights ground staff. The team deployed to carry out the necessary repairs was required to undertake the effort in the open without workshop facilities. The place was under enemy attack each night during their four-day stay, forcing them to withdraw inside the settlement and to leave the aircraft to its chances. Not assisting the recovery effort, either, was further damage caused when an American supply plane delivering ammunition by parachute dropped one case through the Caribous wing. This necessitated a new wing being obtained from American sources and flown by helicopter to Hai Yen, where it was fitted. As a consequence, when A4-173 eventually took off it sported a mixture of US Army and RAAF markings. Without the courage, fortitude and technical competence of the ground personnel and, as Harvey noted, the generous support and co-operation given by the United States Army the aircraft would simply have been written off." "A quarter of a century later, A4-173 still flies on that American wing, identifiable by the lack of three blue formation lights on its upper surface." " The recovery team was flown on a U.S. Army Sikorsky H-37 from Vung Tau to an intermediate stop (probably Can Tho) to refuel, and the 13-man team were then transported by U.S. Army Iroquois from Can Tho to Hai Yen. The replacement engine, propellor and right wing were transported to Hai Yen as internal loads on an H-37. 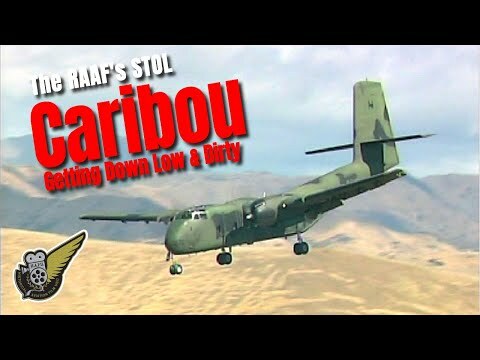 The Caribou was flown out of Hai Yen under it's own power about four days after the recovery team arived at the site. To enable this, we jacked the aircraft after removing the right wing. A new right undercarriage was fitted and the aircraft towed out of the drain to the hardstand using manpower and a 3/4 ton army truck. The right engine was removed and replaced, and the second-hand U.S. Army wing (still with U.S. markings) fitted. An earlier assessment had declared the aircraft a write-off so instead of disconnecting panel switches and instruments, the looms were cut! As a result, John Rae and I had to put in quite an effort to re-wire all the cockpit instruments after it was decided to recover the aircraft". 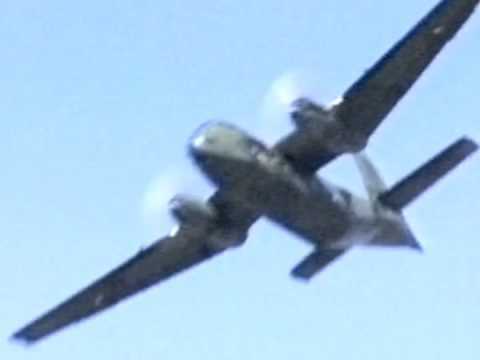 It is recorded that on this date A4-173 was "recovered by a US helicopter". Barry Ingate records that he was the Loadmaster on A4-173 when it was flown out of Hai Yen on this date by Squadron Leader Harvey. Possibly the ferry crew were positioned to Hai Yen by US helicopter. Australian War Memorial image # P01059.003 shows A4-173 wearing a replacement right wing bearing U.S. Army "star & bars". Repairs completed at Vung Tau. The RAAF Transport Flight Vietnam changed its name to No. 35 Squadron RAAF. Extensively damaged in a landing accident at Ba To while delivering building supplies to a special forces camp. This accident was very similar to the Hai Yen accident which damaged the right side of the aircraft. The Ba To accident damaged the left side! (Australian War Memorial 1995) pp 117-119. "A party of ground staff was immediately flown in under Wing Commander Melchert, the commanding officer, to make an attempt at recovery - an undertaking of considerable urgency since the camp was under direct threat of Viet Cong attack, including from mortar fire. To make A4-173 flyable it was necessary for the team to repair or change the wing, flaps and aileron, engine, propeller and undercarriage, as well as the nose. The essential spares for this work were not available through normal logistic channels, but Sergeant E.G. Allen (an equipment assistant back at Vung Tau) managed to ensure that the replacement parts were obtained; the resourcefulness and initiative shown by this airman were to earn him a mention in despatches. Ten days later the aircraft was able to be flown back to base by the commanding officer, albeit with its undercarriage chained into position. The perils of this flight were to win Melchert the Distinguished Flying Cross, although - as events proved - the greater perils lay in the aircraft remaining longer at Ba To. Several clashes had taken place while the RAAF technicians were at the camp (eight enemy being killed during one night), but an attack on the airfield later in the day of A4-173's departure would have seen its certain destruction. Return to Vung Tau marked the beginning of six months of hard work by the unit's engineering staff to get the Caribou fully serviceable again. One of Melchert's last official duties before handing over command to Squadron Leader A.J. Fookes in March 1967 was to test fly A4-173 after its restoration." Read the RAAF press release on the Ba To accident. Australian War Memorial image # VN/66/0054/06 shows A4-173 at Vung Tau wearing a replacement left wing bearing the markings "U.S. Army".
" I am pretty sure that the AC was P/O Cooper, co-pilot P/O Spinks, Loady Cpl Barry Ingate, and me Cpl Fred Robinson AFFITT. There were 2 passengers 1 US and 1 SVN. There were no injuries which is a tribute to the old 'green gravel truck'. The accident was caused by a small drop of the port wing as we came in to land, the port wheels impacted the edge of the runway (such as it was) about 12-18 inches below the flat of the runway and tore the undercarriage retraction mechanism apart. As we bounced along the strip the port wing struck an engine from a previous US Caribou crash which caused all the damage to the wing structure and flaps. I recall exiting the aircraft smartly and going around to check the damage, seeing that there was fuel leaking I returned to let the rest of the crew know." The ferry flight was uneventful, proceeding basically in accordance with the planned itinerary. The largest deviation from itinerary occurred on the last day when a small hitch in fueling delayed departure from Longreach. Together with stronger headwinds than anticipated this caused the arrival at Richmond on 26FEB72 to be 30 minutes late. This was the first time that A4-173 had touched Australian soil! The four aircraft passed over Richmond in diamond formation and flew over Sydney before returning to Richmond. After two serious accidents in Vietnam, A4-173 returned to Australia on a pair of U.S. Army wings! Darwin, NT was devastated by Cyclone Tracy in the early hours of Christmas Day. So severe was the destruction that authorities ordered the evacuation of the city. 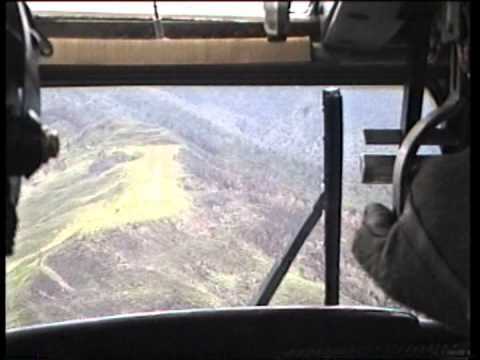 A detailed account of aviation in the aftermath of Cyclone Tracy can be found here. Departed Mt Isa for Darwin where the crew pitched a tent on a concrete slab where a tin hut had been. Operated a local flight ex Darwin, probably for aerial photography, and later operated a return flight to Tindal. With 35 Sqn Townsville, QLD. A suitably decorated A4-173 featured in celebrations to mark the 21st anniversary of RAAF Caribou operations. Although A4-173 had been allocated to the Australian War Memorial, the aircraft was subjected to the RATS program (Reduce Aircraft To Spares). Rear fuselage removed at Amberley and trucked to Caloundra. Remainder of aircraft arrived at Caloundra. A pair of wings, a fin and a tailplane arrived at Caloundra by road from RAAF Richmond. These components were removed (by Qantas) from A4-164. The forward fuselage of A4-159 was purchased from Pacific Hunter Aviation Pty Ltd and transported from the fire dump at Brisbane Airport to QAM at Caloundra. The remainder of the airframe was scrapped by Pacific Hunter Aviation. The forward fuselage will provide cockpit parts for A4-173 and eventually it will be restored as a theatrette. The Sunshine Coast Branch of the Vietnam Veterans Association placed a plaque near the nosewheel of A4-173. The plaque is "Dedicated to all those Royal Australian Air Force personnel who lost their lives on operations and in honour of all who served in Vietnam". The dedication ceremony was conducted by Padre Arthur Fry. The starboard main undercarriage leg, wheels and doors were fitted to the aircraft. This marks a significant milestone in the restoration of A4-173. Other undercarriage legs will be fitted progressively. The port main undercarriage leg and wheels and the nose undercarriage leg and wheels were fitted. The aircraft now has a proper undercarriage. Barry Ingate was the Loadmaster on A4-173 when it crashed in Vietnam - BOTH times! Read the RAAF press release describing the second crash in Vietnam. Log Book of FLTLT Ken Stone. Added an account of the Ba To crash on 16AUG66 thanks to Fred Robinson who was on the aircraft at the time. Added a recent image of the aircraft with the second nosewheel fitted. Thanks to Colin Campbell. Added a recent image of the aircraft adorned with wreaths during an ADF Aviation Remembrance Ceremony. Added a recent image of the aircraft with the second nosewheel fitted. Thanks to Dave Geck. Added a recent image of the aircraft with a full undercarriage fitted. Thanks to Angelo Calleja. Added a recent image of the aircraft's cabin and an image of the newly restored nose undercarriage. Added an image of refurbished wheels and tyres which will be fitted to the aircraft. Thanks to David Geck for the picture and the refurbishment. Added a recent image of the aircraft fitted with a proper undercarriage leg. Thanks to Collin Campbell for the image. Added three images of the aircraft during a visit to Maryborough on 27OCT94. Thanks to Shaun Ryan. Added a recent image of the aircraft fitted with a full set of engine cowlings. Thanks to Paul Strike for the cowls and Colin Campbell for the image. Added an image of the aircraft at Port Hedland, WA in March 1981. Thanks to Geoff Goodall for this superb inage. Added a recent image of the aircraft being fitted with engine cowlings. Thanks to Paul Strike for the cowls and Colin Campbell for the image. Added a reference to A4-173 participating in the relief operation at Darwin after Cyclone Tracy. The period 26DEC74 to 09JAN75 refers. Thanks to Ken Stone for access to his log book. Added reference to a plaque dedication on 03NOV10. Added an image of the recently installed port engine. The nose section of A4-159 has been acquired as a parts source. Added a new image with the rudder attached. Added three images of the restoration progress. Added images of both replacement wings with U.S. Army markings. Images reproduced with permission from the AWM. Expanded coverage of the Ba To accident thanks to Rob Solomons. Added more details and photos of the Hai Yen accident thanks to Ron Furze.